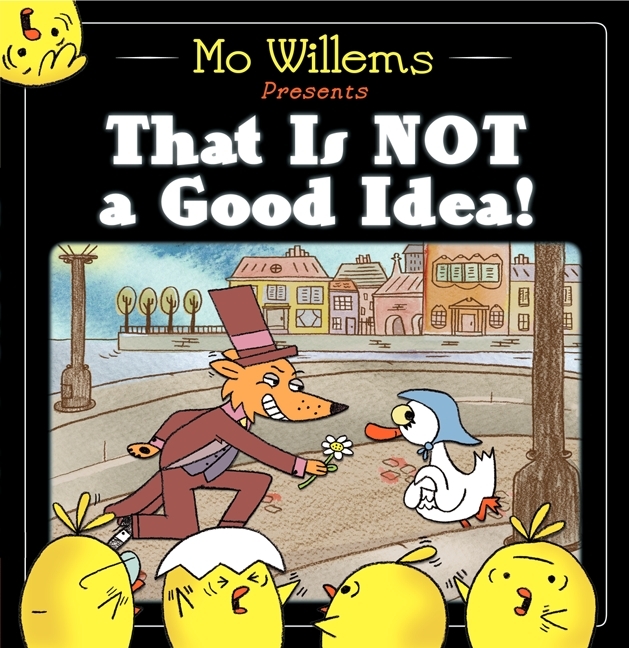 Every time a new Mo Willems book comes out I think, ‘This one is my favourite’. When the next one comes out I think ‘No, this one is my favourite’, so it no surprise to me that THIS one is my new favourite. 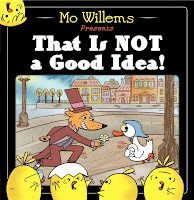 It’s design is like that of a silent movie, where the reader can see the danger in the meeting of the wolf and duck. Just in case you weren’t quite picking up on the ‘danger’ element, we have a little duckling poking it’s head to say ‘This is not a good idea’. There have been other books quite similar to this one, where you know that things might not be what they seem. It just might be that it’s not the duck that’s in trouble at all! It reminded me of two Wolf’s Sunday Dinner by Tania Cox being one, and My Lucky Day by Keiko Kasza. While there is that tiny element of danger…that the duck is going to end up as dinner, it’s not too scary for younger readers, I think the presence of the duckling popping in and out of the story lightens the mood somewhat.